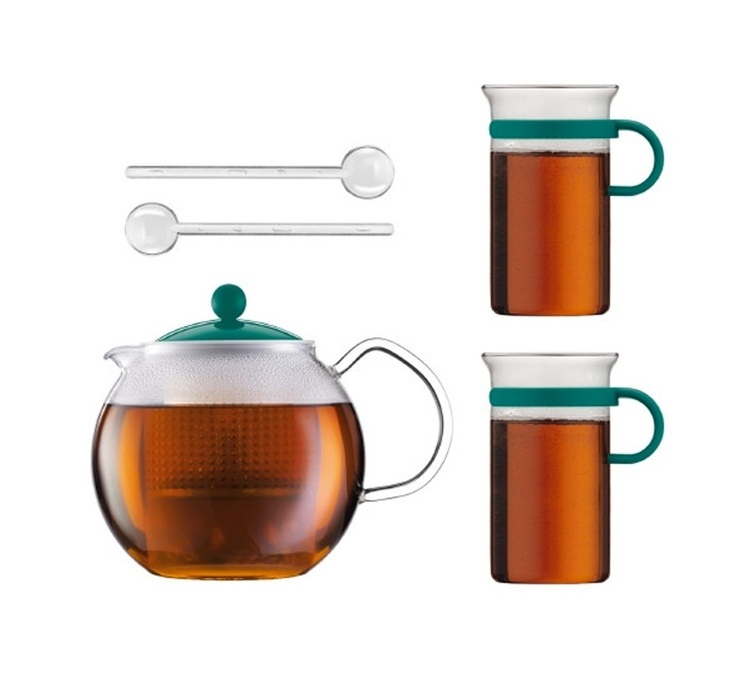 Try this turquoise tea set, containing a 1L tea press, two 30cl glasses with handles, and 2 stirrers. Great gift idea. Bodum is a family business, founded in Copenhagen by Peter Bodum in 1944. The founder's concept: to develop functional and quality products at an affordable price. Bodum products are sold in 55 countries around the world. Since 1974, Bodum has produced more than 100 million French Press coffee makers and 30 million teapots. A stainless steel Bodum Columbia tea press with a 1.5 litre capacity. Completely stainless steel, dishwasher-safe.